Sell it to me. Sweet-talking sales clerks recently pitted their patter against fellow professionals who know what selling is all about. The event on Jan. 22 in Yokohama was a dazzling display of ways to woo the customer and showed that the winning ingredients may be charm, openness and engagement. 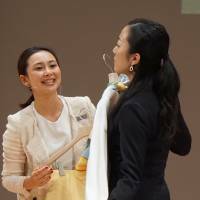 Organized by the Japan Council of Shopping Centers, the contest tested shop assistants in demanding scenarios, teasing out sales tactics and showing how staff develop empathy with customers. The role-playing competition placed competitors face to face with would-be customers and requires them to persuade the shoppers to buy a certain product while keeping the interaction elegant and enjoyable. 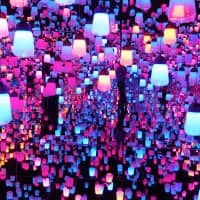 Japan often talks about the concept of omotenashi — a welcoming hospitality which it believes it possesses in spades — but the services industries are trying to improve the skills and mindsets of their employees ahead of an anticipated surge in visitors ahead of the Tokyo Olympics in 2020. In the competition, 1,013 participants were whittled down to 24 finalists, who were then subjected to eight minutes of role play. They competed in two categories: food and restaurant, and apparel. 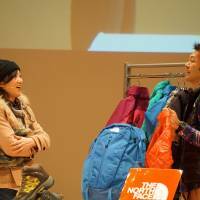 The winner of the Grand Prize was Atsushi Takehara, 39, a sales clerk for outdoors gear brand The North Face. He said the key is to offer the customer an entertaining experience, and a smile. “It’s not really about shopping, it’s about making customers enjoy their time,” he told The Japan Times. 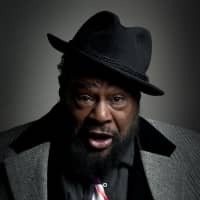 “Of course, our job is to promote our products and attract customers to purchase them, but I believe it’s more than that. 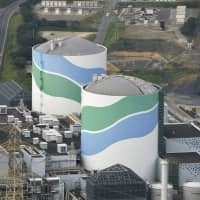 Takehara works in one of Japan’s largest outlet malls, Mitsui Outlet Park Jazz Dream Nagashima in Kuwana, Mie Prefecture. 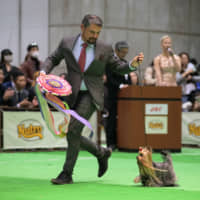 The competition showed how Takehara goes about concluding a sale. 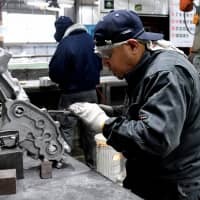 He started out by making small talk with a female customer, gradually extracting information from her, including the fact that she bicycles to work. Careful not to be too pushy, he then offered her a compact waterproof down jacket, explaining that it uses breathable fabric that wicks away sweat. Having bought one himself, he said, he suggested how to wash it. 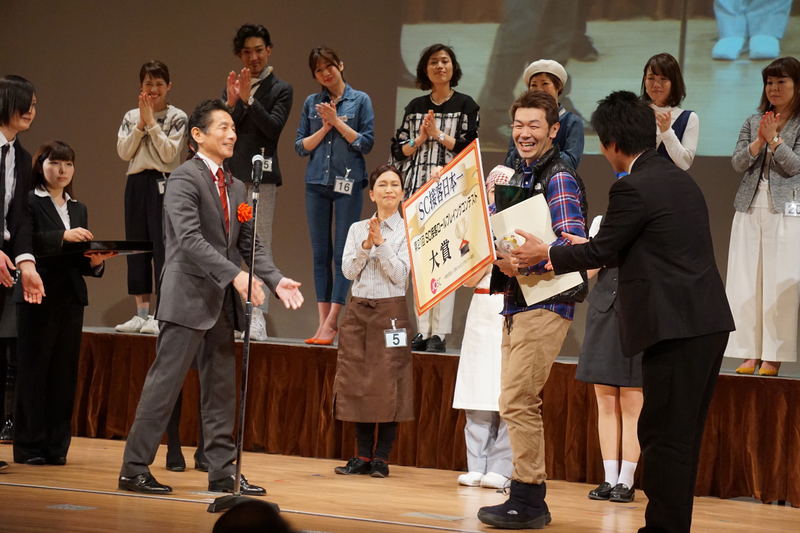 He was awarded ¥300,000. Other contestants were required to cater to the demands of a young couple looking for a dessert for a family taking care of their children, a young man searching for a gift for his sister and company workers in search of quality coffee beans for their female colleagues. 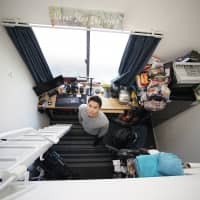 “In the past, store clerks were expected to follow instructions thoroughly explained in manuals, but those days are over,” said Atsushi Mukumoto, the lead judge. Mukumoto, president of Osaka-based Gourmet Kineya Co., operator of a nationwide chain of restaurants and grocery shops, said shop assistants are now expected to create rapport with customers so they “feel they want this particular staffer to assist in the future.” This quality they are expected to possess in addition to a sense of hospitality and knowledge about the products. Mukumoto said Tokyo’s selection for the 2020 Olympics has motivated store clerks to improve their service to cater to the needs of foreign visitors. 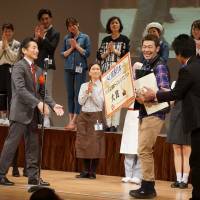 The first prize in the food and restaurant category went to Minami Kanazawa of the ice cream parlor chain Cold Stone Creamery in Sapporo. She persuaded two women to buy the parlor’s limited-edition sweet-sour ice cream. The top prize in the apparel category went to Chiaki Akada of the clothing chain Tomorrowland, located in Tokyo’s Marunouchi district. Both were awarded ¥100,000, while runners-up received ¥30,000 each. Japanese have always attached great importance to customer service. A 2014 Consumer Affairs Agency survey showed that 57.6 percent of 6,449 respondents aged 15 and over take the store clerk’s attitude into consideration when making purchases. 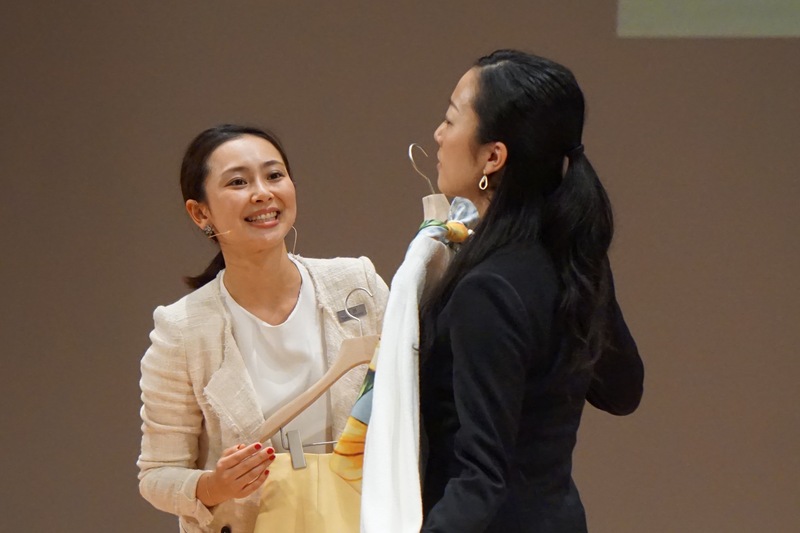 One of the finalists, Tamayo Iwasawa, 41, who represented popular clothing and apparel store chain Beams in Machida, western Tokyo, said online shops pose new challenges for sales staff and store clerks. During her regular work, Iwasawa says she tries to find products that match a customer’s profile, looks, lifestyle and type of work.